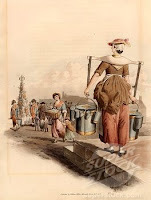 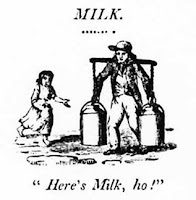 Researching Food History - Cooking and Dining: Here's Milk, ho! Selling milk from 12 gallon cans, from the 1808 book The Cries of New-York with a description. 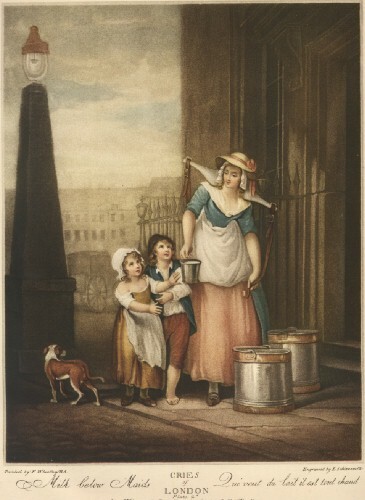 Also pictures from 1795 and 1805 Great Britain.